Replacing the timing belt on your Audi may not be your first priority in keeping your vehicle in great shape, but the results of a failed timing belt can cause major damage and be quite costly. In fact, a failed timing belt can result in complete engine failure. 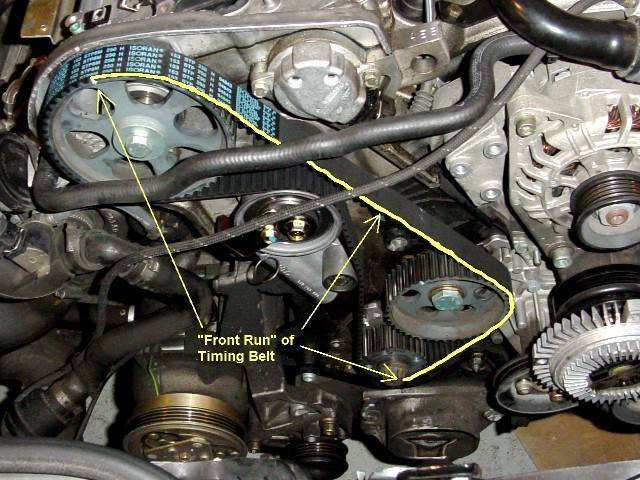 The timing belt is absolutely crucial to the proper functioning of the engine. The two internal engine parts, the crank and cam shafts, must work together in perfect rhythm. The timing belt allows these two parts to operate in the proper synchronicity. If the timing belt is not replaced regularly, the belt could break, leaving you stranded and possibly causing major engine damage. If you’re having the timing belt replaced, consider replacing other parts that may be accessed at the same time. The water pump, timing belt sprockets and tensioning pulleys are good examples. The environment that the timing belt operates is extremely corrosive. They are made out of rubber, which eventually breaks down in conditions of extremely high temperatures, corrosive materials and mechanical hazards such as metal and hard plastics. Other factors that wear down the timing belt are dust and dirt, extensive idling and stop and go driving conditions. Peninsula Automotive offers timing belt inspection and replacement.